Vizio pays $2.2m after unlawfully collecting viewers' data | What Hi-Fi? The television manufacturer used a Smart TV to collect customers' viewing data, including IP addresses, nearby access points and zip codes, before selling it on. 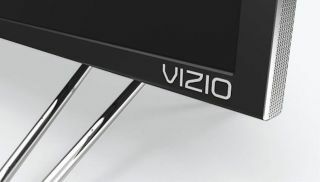 US TV manufacturer Vizio has been found guilty of unlawfully collecting the viewing data of its customers and selling it on to third parties, according to the Federal Trade Commission. The company has paid $2.2m to settle the case. The FTC says the data collection, which began in February 2014, affected more than 11 million products. According to a blog on the FTC's website, "Vizio collected unique data from each household with a Vizio smart TV, that included not only second-by-second viewing information, but also the household’s IP address, nearby access points, zip code and other information". In a statement, Vizio said that the data sent could not be matched to individuals. "[The company] never paired viewing data with personally identifiable information, such as name or contact information, and the Commission did not allege or contend otherwise," it said.